The governing Board of the National Theatre was on Tuesday inaugurated with a task to assist the Ministry with innovative ways of getting a theatre in each region. The nine-member Board is the last of the governing Board out of the eleven agencies under the Ministry to be inaugurated. 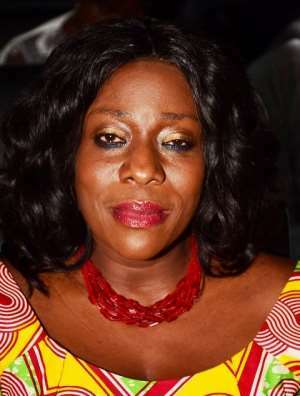 Mrs Catherine Abelema Afeku, the Tourism Minister said currently, Accra was the only place that had a theatre of a national stature, 'all the other nine regions lack theatres where talents could be groomed and helped to blossom'. She said the Ministry was certain that the Board would come up with innovative ways and ideas to support the Ministry to build theatres in the entire country. 'We are a nation of ten regions with different tribes, so many ethnic groups, and all they have their unique cultural practices. The theatres can become the house for the display of such uniqueness as well as sharing of our diversity,' she said. Mrs Afeku noted that the inauguration of the board has finally given them the green light to put in all the dreams, aspirations and plans, which were put on hold into reality. 'Throughout the eleven agencies, I encourage the boards not to take over the role of managements and your role is to provide leadership support, policy direction, and ideas. Let the board be seen as the arm and wings on which the theatre will fly,' she added. The Minister noted that theatre in the nation plays a very important role in propagating government policies and projects through role play, which also help in shaping national development. 'Most of our thoughts, visions, and ideas can be channelled through role plays and can also be use as vehicle to convey messages that will promote cohesiveness in our culture,' she said. She urged the Board to help change how theatre is being perceived in Ghana and it is expected that the leadership would support the leadership and Ministry to bring theatre to the forefront of development. Nana Fredua Agyemang Ofori Atta, Chairman of the Board commended their predecessors for the concept the structure and the law put in place over the past 25 years to make the theatre what it is today. He said culture in Ghana was under threat, and the National Theatre Act empowers them to develop culture through performing arts and would not leave any stone unturned as far as the opportunities they have to do that were available. He pledged that the Board would live up to expectation and called on the Ministry to also ensure that they were provided with all the needed resources to work with. Members of the Board included: Nana Fredua Agyemang Ofori Atta, Professor Kofi Agyekum, Professor Dodzi Tsikata, Nana Edua Appeatsewah II, Mr Abass Ridwan Mohammed Dauda, Mr Prince Kwame Tsepah Selorm, Madam Amy Appiah Frimpong, Mr Kofi Adu, and Madam Ruby Buah.